China's most wanted fugitive Yang Xiuzhu, who fled China in 2003, was sentenced to eight years in prison for embezzlement and taking bribes. China's most wanted fugitive Yang Xiuzhu, who fled China in 2003, was sentenced to eight years in prison for embezzlement and taking bribes, Hangzhou Intermediate People’s Court announced today. Yang was fined 800,000 yuan (US$121,595) and her illegal gains of more than 26 million yuan was confiscated, the court in Zhejiang Province said. 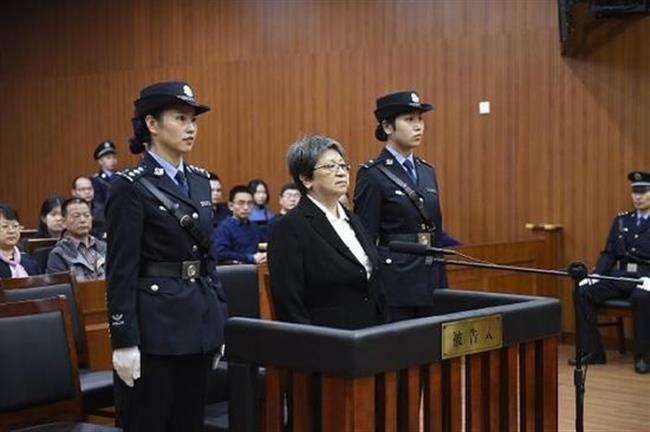 From December 1996 to May 1999, Yang took advantage of her posts in Wenzhou city to embezzle more than 19 million yuan for personal use and accepted cash and properties worth over 7.35 million yuan, the court heard. The court gave her a lenient sentence as she pleaded guilty and expressed remorse.